Can I Use My Flex Spending Account On Glasses? Flexible spending accounts (also known as FSA or FSAs) are a very beneficial employer sponsored program that allows you to set aside pre-tax money for specific health care expenses. FSA dollars can be used for all prescription eyewear purchases including prescription sunglasses, single vision, progressives, computer lenses, and contact lenses! Flex money can also be used for routine eye exams, contact lens evaluations, and all other medical eye exams. What Is FSA, and How Does It Work? A flexible spending account is kind of like a bank account that you can setup through your employer that allows you to set aside money from each paycheck. This money can be used to help pay for medical expenses that may not be covered through insurance or vision plans. One of the great benefits of an FSA is that the money you deposit is excluded from taxes. That means each dollar has more spending power than those that you get from your paycheck! The one thing to be aware of is that most flexible spending account plans do expire and are considered “use-it-or-lose-it”. If you do not use your funds before the expiration date, you will lose out on all of that money you set aside. In Minnesota, some company’s have a deadline of December 31st to use your funds, while others have grace period deadline until March 15th of the following year. Please check with your employers to verify your exact FSA deadline. How do I use my FSA Money? Many plans comes with a debit card that you can use at checkout as you would any other credit card. However, not all flex spending plans come with debit cards. If your employer did not give you a debit card to use, you can simply use your receipt from the purchase and submit it to your employer or FSA administrator to get reimbursed. Every business has a different filing procedure for reimbursement, so we always recommend contacting your HR department for details. Can I Use My FSA for Glasses? Since prescription glasses are considered a medical expense, you can use your FSA funds to pay for prescription eyeglasses. The qualified expenses include frames, lenses and any lens treatments such as blue light filtering and anti-glare. In order to purchase prescription glasses, you will need a current prescription. Eye exams are also a qualified expense you can use your FSA for. If you need to update your prescription, you can schedule an appointment with us today. Can I Use My FSA for Sunglasses? Prescription Sunglasses are also a covered expense under flex spending plans. All type of prescription sunglasses and lenses are covered under an FSA plan. This include sunglasses for skiing, fishing, golf, and for everyday wear. With an FSA you can order sunglasses that shield your eyes from harmful rays, enhance your vision, and elevate your style. If you are lucky enough to be jetting off to a warm tropical destination this spring break, then we sincerely envy you. We are sure you won’t forget to pack your beach essentials—a swimsuit or two, plenty of sun tan lotion, and a cool pair of prescription shades! Does iCare family vision accept flexible spending accounts? Yes! iCare Family Vision gladly accepts Flexible Spending Accounts (FSA). We realize you have a choice in eye doctors and it is our goal to establish a long, trusting relationship with you, your family, and friends. For us, it is much more than taking care of your eyes and providing great eyeglasses. We want the privilege to get to know you, your family and your friends. Don’t delay using your FSA, come schedule an appointment or stop-in today! What Kind of Sunglasses Are Best For Golf? Almost every professional golfer will tell you the importance of having a high quality eyeglasses while on the golf course. This is the reason why numerous eyeglasses brands have started creating sunglasses and lenses specifically made for golfing. Golf sunglasses should enhance your vision, provide comfort for all day use, and be designed to protect your eyes from the sun or any outdoor elements. After all, in spending a day on the golf course, you may face all kinds of weather conditions. Golf sunglasses are specially designed for those who love to spend the whole day outdoors. Therefore, it features several differences from a regular or fashion prescription sunglasses. The best golf sunglasses should provide enough protection from the elements, unsurpassed vision quality and contrast, and improved comfort, as well as, durability than a pair of regular sunglasses. Also Read: Is Blue Light Harmful to Your Eyes? The frames of the golf sunglasses are usually made of lightweight material. In addition, it should also be as minimal as possible especially around the bottom of the lenses. This feature will enhance your vision of the ball when you are about to hit it. Thicker frames tend to interfere with your vision. If you are looking for the best sunglasses in the market, there are several features to check before buying. Ideal golf sunglasses should provide 100% UV protection. Some golfers love to use polarized sunglasses, while others do not like this particular tint because it can interfere with visual depth perception. In the end, the choice between non-polarized or polarized lenses comes down to personal preferences. 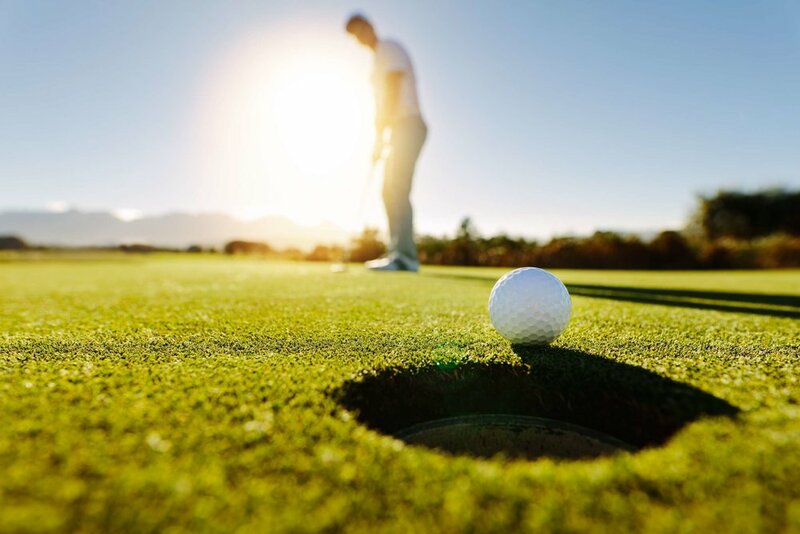 One of the key benefits of polarized lenses is that in reduced the reflection off of surfaces which could benefit golfing on courses that have a lot of water hazards. Most golfer understands the importance of perfect visual acuity when on the golf course especially around the greens. This is particularly important when tracking your drive down he fairway or in the unfortunate situation of hitting into the rough. 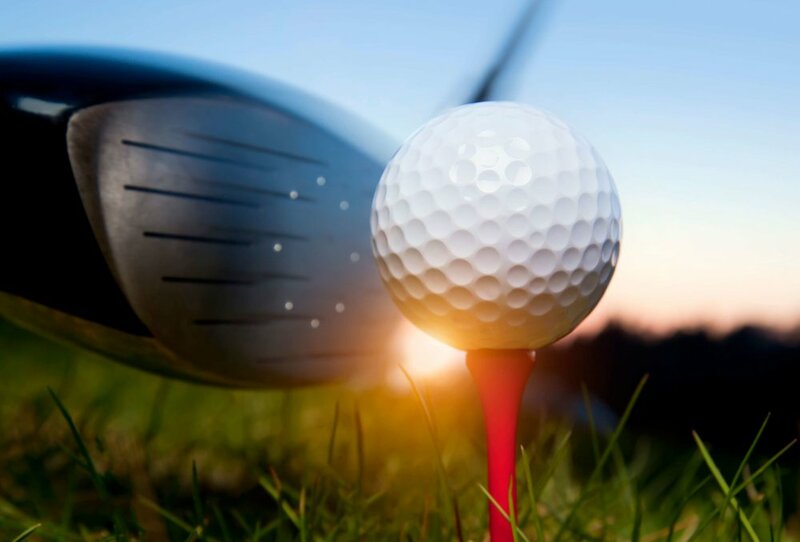 Choosing the right pair of golf sunglasses can provide excellent visual contrast when looking at the white ball against the green grass or blue sky as well. No one enjoys walking around the course struggling to find your ball or sitting on a green not being able to read the proper line. 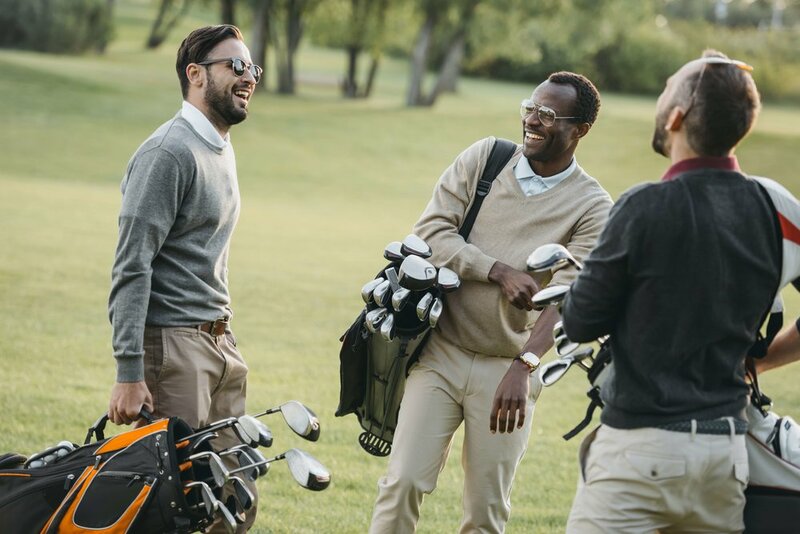 Stop by iCare Family Vision today to find a great pair of golf sunglasses that could not only improve your golf game, but also allow you to enjoy being out in the sun even more. The right eyewear can refine and complete any look. When you wear eyeglasses, it’s even more important. Eyewear is usually one of the first things that people notice and remember when meeting a new person. Eyeglasses create a large impact on your overall look. This is why it’s essential that you choose the perfect pair for you. OGI Eyewear is a great choice for anyone looking to love the way they look in their eyeglasses. Beginning in Minnesota as an independent eyewear label, since 1997 Ogi Eyewear has always remained true to its original philosophy - even while experiencing significant growth in recent years. By emphasizing innovation, originality, quality and value, Ogi Eyewear has refined its vision to earn worldwide recognition. The eponymous line is now also the name of the company, housing multiple unique brands at the forefront of contemporary optical design. 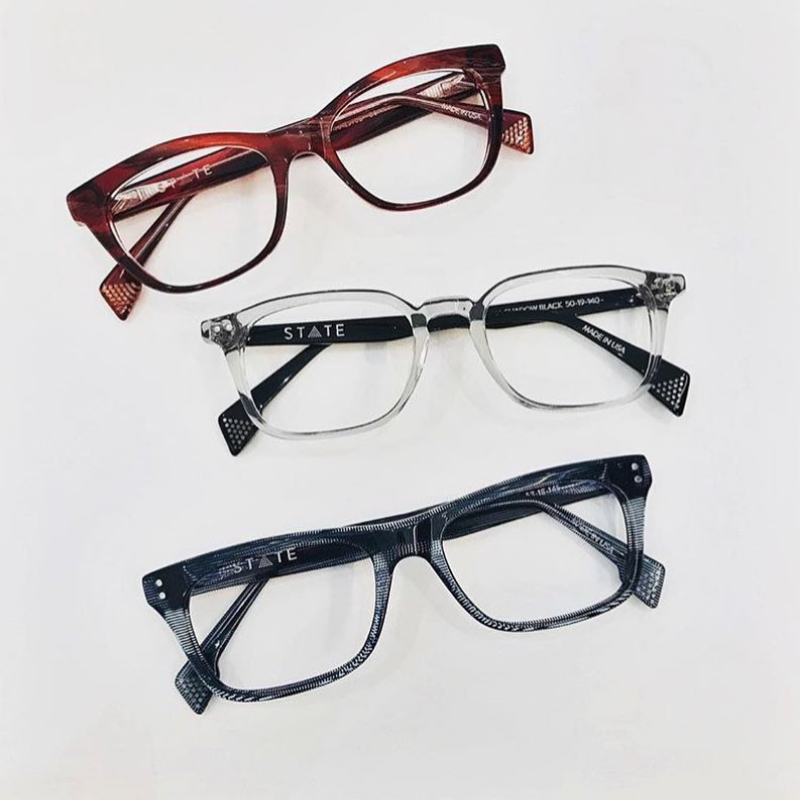 Ogi Eyewear constantly releases new products—bold, colorful, and handmade luxury eyewear—and develops the hottest trends in the eyewear industry. Founder and designer, David Spencer, used to run a small optical store in Minneapolis, Minnesota named Specs. His client’s continued to ask for eyewear that was finely crafted, affordable, and functional. This inspired him. So he decided to design his very own eyewear line. Spencer started by sketching out frame designs and things took off from there. This was the birth of OGI Eyewear. The OGI name came from Spencer's son Braden, who would say "Ogi ogi ogi" to prompt his parents to sing "Twinkle, Twinkle Little Star." OGI Eyewear’s first ever collection was launched at the Vision Expo in 1997. The launch included 15 different frame designs. The designs combined refined shapes and bright colors. They were unlike any other eyewear on the market. Since then, the company only continues to grow. Today, OGI Eyewear is one of the youngest but also most competitive eyewear makers in the industry. Bold colors have always been a signature of Ogi Eyewear. But Spencer uses those colors carefully. Tortoise frames might have baby blue on the back or a frame with gunmetal fronts might have turquoise at the temples. Ogi and Ogi Kids, the namesake collections, deliver style with bold coloration, unique shapes, and meticulous details. Seraphin, a sophisticated neoclassical collection, modernizes vintage eyewear with contemporary interpretations of iconic designs. Innotec synthesizes innovation and groundbreaking technology to pioneer new paradigms of ultramodern eyewear. OGI eyewear has unrivaled style. Their fantastic design and sleek functionality is a trend setter, despite being a newcomer in an industry dominated by just a few major players. They offer unique styles, which are durable and still affordable. The company delivers style by making sure they use only the best quality materials and take an extreme measures to ensure its details are perfect. By focusing on innovation, originality, quality, and value, OGI eyewear is the perfect choice for all consumers. Do Children Need Annual Eye Exams? When it comes to keeping children healthy and ensuring proper childhood development, annual visits to pediatricians are important. But what most parents don’t realize is that annual eye exams are equally as important. Eye Exams for children are critical to their development and eye health. It is estimated that 25 percent of school age children have some type of vision problem, much of which goes unidentified due to lack of regular eye exams. Identifying issues with children’s vision is important because children can respond better to treatment when problems are diagnosed early. With so much going on in your kid’s life it can be difficult to keep up, but it’s important to make sure they can see the world in front of them as clearly as possible. So you might ask, when would be the right time to have your child seen for their first eye exam? You might even be shocked by answer. 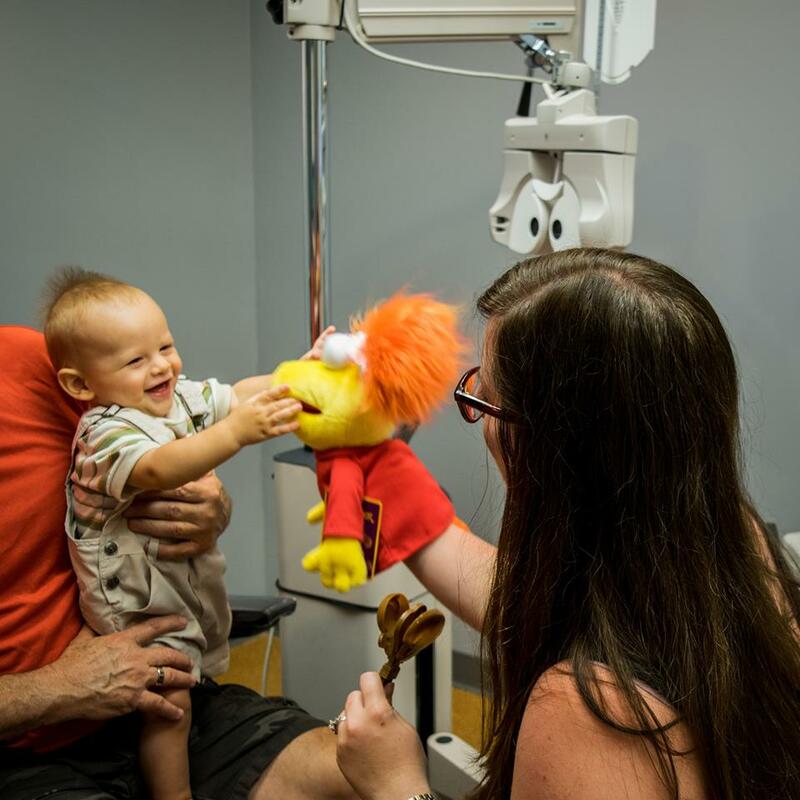 6 months old is the ideal age for a child's first eye exam. That may seem a bit young to you, but an eye exam from an optometrist at age 6 months is important for more than just checking for vision issues alone. As we all know, the vision of a child during early life is constantly changing. By the time that a child reaches 6 months, their visual acuity has already dramatically improved. Hence, it is very important that your child is examined by an optometrist to check their vision. Delaying such an exam might even cause a child to suffer from undetected vision issues. After the first exam, the next eye exam should be done once a child reaches 3 years old. By this time, the eyes of your child are already developing and growing. It is very important to have your child's eyes examined by an optometrist before they enter preschool. Although many schools offer vision screening, these screens are not comprehensive eye exams and the results can be very inaccurate. If you notice your child is having trouble with their vision (squinting, rubbing eyes, trouble reading) schedule an appointment with iCare Family Vision today and we can help address the issue and get your child seeing clearly again. With most vision conditions, early detection can make the corrections much easier to treat than allowing the problem develop into something worse. 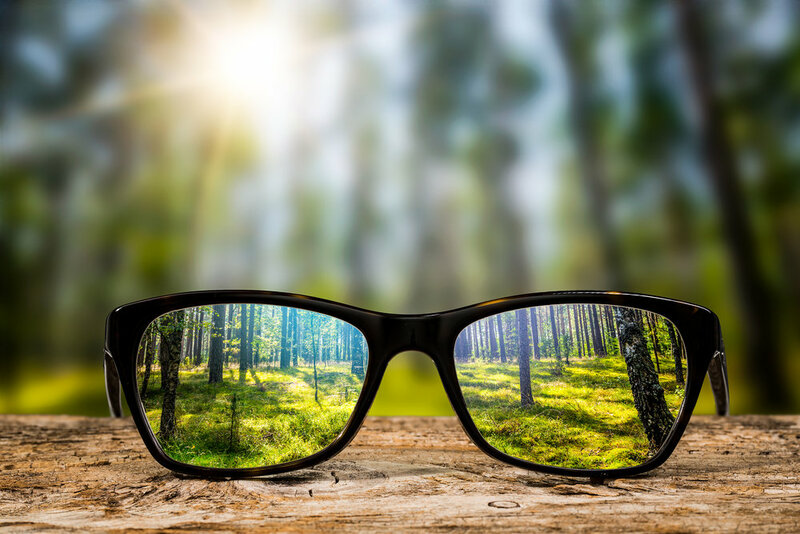 Some of the vision issues that can be found through a comprehensive eye exam include astigmatism, nearsightedness, farsightedness, and other conditions that can be easily addressed by making use of prescription glasses. There are other eye issues in children which can easily be spotted by an optometrist including amblyopia or commonly known as a "lazy eye". Hence, it is best advised for parents to make the first steps in taking responsibility for their kids' overall eye health by scheduling regular annual eye exams starting at age 3. Just like the usual trip to the hospital or to a doctor, children might feel scared about it going to the optometrist. The good news is that Dr. Johnson at iCare Family Vision is super friendly and wonderful with kids of all ages. She makes your child's eye exam feel like a fun game. Ultimately, do not fall into the trap of assuming that everything is perfect with your child’s vision just because they are not complaining about or having particular symptoms. Please make it a top priority as a parent to ensure that you have your kids checked by iCare Family Vision on an annual basis. When it comes to having healthy eyes, you need to have a healthy lifestyle. Your eyes are always exposed to the elements, which is why they need proper care at all times. Exercise, good diet, regular visits to an eye doctor, and wearing prescription sunglasses are all good ways to protect your eyes. Leafy green vegetables like kale are high in lutein which will help contribute to healthy eyes. Read more about the Benefits of Regular Eye Exams. Lutien is known to lower the risk of developing various age-related eye conditions including cataracts and macular degeneration. In a study, women who are known to have lutein in their diet were proven to be 23% less likely to develop cataracts compared to women who consumed less of the nutrient. Other dark leafy vegetables including romaine lettuce, spinach, turnip greens, collards, and arugula are great choices that contain lutein. Citrus (oranges, grapefruits, lemons…) as well as, berries (strawberries, raspberries, blueberries …) are great sources of vitamin C. Vitamin C is crucial in boosting your immunity and reducing your chances of developing cataracts. Vitamin C is also important in regenerating other nutrients in the eyes like Vitamin E.
Carrots are an excellent source of vitamin A—one serving provides double the recommended daily amount. This essential vitamin is used by the eyes to maintain good vision. 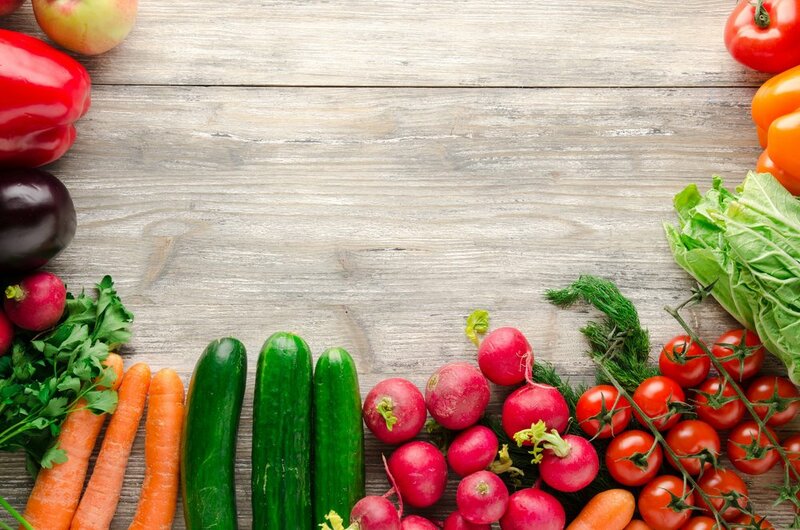 The beta-carotene in the vegetable is converted to vitamin A in the liver and then goes on to combine with a protein called opsin to form rhodopsin. This substance is needed for night and color vision. Regular consumption of carrots may also help to protect the eyes from age-related vision problems such as macular degeneration and cataracts. 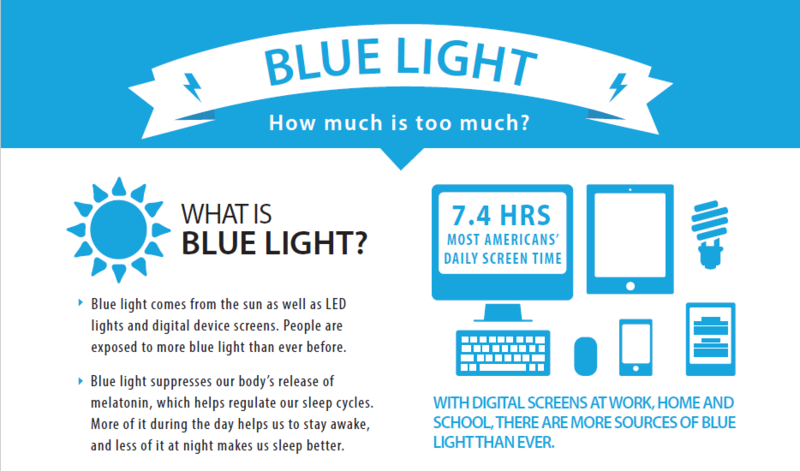 Learn more about how Blue Light Can Contribute to Macular Degeneration. Vitamin C and Vitamin E works together to keep tissue healthy. However, you may not get enough vitamin E from the food that you consume. To boost your vitamin E reserves, eat a handful of almonds every day. They're filled with vitamin E, which slows macular degeneration, research has shown. One handful (an ounce) provides about half of your daily dose of E.
Rich in lutein and zeaxanthin, eggs are a fantastic source of zinc which is a excellent nutrient that can help reduce macular degeneration. It is considered one of the healthiest breakfast foods to help you start your day. Eggs are a good source of protein and will provide other nutrients like omega 3s and vitamin E. Load up on eggs for protein and healthy eyes. Fish like salmon, sardines, tuna, trout, and mackerel are good sources of omega-3 fatty acids DHA. This nutrient is concentrated in your eye’s retina and provides structural support to the cell membranes which achieve healthy eyes, as well as, protect retinal function. Research suggests that eating fish can reduce macular degeneration. In fact, those who consume large amounts of these animal-based omega 3 fats have a 60% lower risk of developing advanced macular degeneration in comparison to those who consume less. Some studies have found that fish oil can help reverse dry eye. Even if you don't like to eat fish, Dr. Johnson recommends a high quality fish oil supplement rich in omega-3 fatty acids. Learn more about Dr. Johnson's Modern Approach to Eye Exams. Sweet potatoes are rich in vitamin A, beta-carotene, potassium, and fiber, just like carrots, so they're also good for your eye health. The sweet flavor makes sweet potatoes a hit at mealtime, so it's easy to get all that good nutrition into your diet, even if you're a picky eater. Serve baked sweet potatoes with olive oil, or a touch of a sweet glaze or top with baked beans, onions, cooked spinach or nuts. Take a break from regular French fries and make sweet potato fries instead, with a little bit of molasses drizzled on the top. All kinds of legumes like black-eyed peas, lima beans, kidney beans, and peanuts contain zinc, an essential trace mineral found in the eyes. Zinc can help provide protection from the damaging effects of light in your eyes. Other food that is high in zinc include lean red meat, oysters, poultry, and cereals. It turns out whole grains are not only good for your waistline; they contain vitamin E, niacin and zinc, which provide many benefits for the eyes. Not only do they reduce the risk of cataracts and age-related macular degeneration, but they also reduce the likelihood of blood sugar spikes that could damage the retina over time. The zinc in whole grains also protects eye tissue from light and inflammation. A diet which contains low glycemic index (GI) can help in reducing your risk for age-related macular degeneration. You can swap refined carbohydrates for brown rice, quinoa, whole oats, and whole wheat breads. There are plenty of other great food choices that will help keep your eyes healthy. It is important that you keep a good diet because bad health choices can easily affect your eyes and vision. Also, remember to always have annual eye exams to check the health of your eyes. Trivex lens material is a breakthrough optical polymer that delivers critical performance characteristics for everyday living. Only the advanced technology provided by Trivex lens material delivers the unprecedented combination of crisp, clear vision, ultra lightweight comfort, unsurpassed strength and protection. For reading, computer work, driving, and any time vision acuity is important, Trivex lens material provides the optical quality that optimizes corrective prescriptions and helps to reduce eye strain. Lenses made with Trivex material are ultra-light for ultimate comfort; Trivex is one of the lightest lens materials on the planet. And that can mean your eyewear sliding off the nose less often. Unlike other lens materials, Trivex blends the benefits of light weight and thinness, often resembling a high index lens, but weighing even less than polycarbonate. For the demands of everyday living, eyeglass lenses need to provide protection from unexpected impact, breakage and from the sun’s harmful UV radiation. Unexpected physical contact can happen at any moment. Trivex provides high-impact resistance when it is needed most—for example, during participation in sports or in an active work environment. The high tensile strength and durability of Trivex—plus its stress-free characteristics—make it an excellent choice for drill-mount frames and any lightweight fashion frames that rely on lenses for structural rigidity. And to protect your eyes from the sun, Trivex blocks 100% of harmful UV rays. Trivex lens material is the ideal foundation on which to build eyewear that will help you get the most out of life. By combining the benefits of Trivex with advanced lens designs and eyeglass lens enhancements, you can provide the ultimate in “True to Life” eyewear. Trivex is compatible with most vision enhancing lens options, including: Anti-Reflective (A/R) coatings; digitally surfaced single vision and progressive lens designs; polarized sunlenses; and Transitions® lenses. Trivex material provides precise optical performance for every prescription. The majority of patients—approximately 85%— have prescriptions that fall within the Trivex range and will gain the most from the benefits of Trivex material in an attractive and comfortably thin lens. With Trivex material, children gain the benefits of impact resistance PLUS great optical performance. Lenses made with Trivex material can pass some of the optical industry’s highest standards for impact resistance. Even better, Trivex can provide that protection without compromising visual performance for reading and schoolwork. For the fashion-conscious, lenses that provide optical quality, lightweight comfort, strength and protection are always in style! Trivex material is a perfect fit for all frame designs, and it is especially well-suited for rimless (drill-mount) and semi-rimless (supra) styles. The robustness of Trivex material is unmatched by any other lens material, delivering durability, ultra-lightweight comfort, and precise optics in an attractively thin lens that can satisfy your individual styles. Trivex lens material provides the critical performance characteristics called for in everyday living—bringing you the best of all worlds. Taking care of our skin from harmful light has always been a prime concern for people especially the over exposure to the harmful UV rays of the sun which can lead to sunburn and even skin cancer. Protecting our eyes from harmful light is also very important since apart from the UV rays that can wreak havoc on us, there is another light that we need to be aware of, blue light. So what is the blue light and how does it affect our eyes? Blue light comes from the sun as well as LED lights and digital device screens. Blue light is the part of the visible light spectrum which is known to produce a highest levels of energy. Blue light is the kind of light is characterized by a higher form of energy and thus it can affect deeper into our eyes when we least expect it. We must understand that our eyes are easily affected by this kind of light. Blue light suppresses our body's release of melatonin, which can affect our sleep cycles and can cause insomnia. Some studies have shown that when our eyes are overexposed to the blue light, it can have a negative effect on the eye’s retina that could lead to a vision disorder that usually shows up as we age. One of the vision disorders thought to be caused by blue light is called macular degeneration. Although more research is needed to determine how much natural and man-made blue light is harmful to the retina, many eye care providers are concerned that the added blue light exposure from computer screens, smartphones and other digital devices might increase a person's risk of macular degeneration later in life. Can Blue Light Be Harmful? Two of the most obvious and harmful effects of blue lights to our eyes are macular degeneration as well as digital eye strain. As we have mentioned earlier, the blue light is known to reach deeper into the eyes. Such instance badly affects the retina’s sensitive cells which later on leads to macular degeneration when we get older. It is an unfortunate fact, as well that the sources of blue light are some of the things that we love to use and we have been using for almost every day. Some of these include flat screen TVs, computers, mobile phones, and other digital devices like iPads and tablets. Another thing which makes the blue light a problem for our eyes is that digital eye strain is very common nowadays in a generation of so many digital devices such as mobile phones and tablets. What the blue light is known to emit is a scattered energy instead of a focused energy. And our eyes are more susceptible to the scattered light which leads to digital eye strain. What can be done to reduce exposure to blue light? Optometrists highly suggest that in order to combat the degenerative effects of the blue light the easiest solution is getting blue filtering or yellow tinted lenses. These lenses can be very helpful since it can reduce the amount of discomfort that can be derived from prolonged staring exsposure to blue light. These are also helpful in limiting the exposure of our eyes to a safer level of these lights. Other options to help reduce the amount of blue light exposure include digital device filters, and computer eye glasses with blue blocking lenses by BluTech. Make sure to schedule an eye exam appointment today with Dr. Johnson at iCare Family Vision to discuss Blue Light and lenses that can help reduce the effect of this light. Ever have trouble seeing at night or in low light conditions? French eyewear brand Vuarnet has a little something for you with their new NIGHTLYNX lens collection. While VUARNET lenses have been ensuring unparalleled protection from the harmful effects of sunlight for 60 years, the Company has designed its new NIGHTLYNX lenses to amplify light when levels are low or completely absent. This equipment is primarily intended for pilots but is also sure to please night owls and those who drive at night. NIGHTLYNX lenses are unique as they combine the benefits of mineral glass - purity, clarity and incomparable optical precision, with exceptional visual acuity at night and in low light condition. NIGHTLYNX lenses are designed to deliver unmatched clarity and visual sharpness at night, dusk and dawn, as well as in the rain or fog. While filtering 100% of UV rays, NIGHTLYNX lenses are protecting from harmful blue light. They also eliminate glare effects and noticeably improve contrast and distance perception. Sensation amplified by a bi-degraded silver mirror treatment and the multiplayer anti-reflective inside coating that attenuate other parasitic reflections. Available in five styles, each with yellow lenses paired alongside matte black frames, visit iCare Family Vision to shop our Nightlynx assortment today. The Phoropter is a common name for an ophthalmic testing device, also called a refractor. It is has been commonly used by eye care professionals during an eye examination, and contains different lenses used for refraction of the eye during sight testing, to measure an individual's refractive error and determine his or her eyeglass prescription. The term Phoropter was trademarked by Henry DeZeng in 1921, who is also credited for one of the first eye examination devices. The model of phoropter as pictured above has been used by many eye doctors for decades and many patients remember their first eye exam on this type of manual traditional phoropter. Today, digital technology has completely transformed the way we live our lives. Digital technology has also transformed the traditional eye exam. At iCare Family Vision, we don't settle for anything less than the best digital technology, especially when it comes to something as important as your vision! From the moment you sit down for your eye exam at iCare Family Vision, you’ll see how far we’ve come. No more old-fashioned knobs and hand-turned lenses. Instead, Dr. Johnson uses use an advanced digital eye exam system. Dr. Johnson’s state-of-the-art eye exam uses the latest digital technology to ensure an accurate and comfortable prescription. Digital technology is incorporated into the comprehensive evaluation in order to enhance the analysis of your overall eye health. A common concerns we hear from patients is having a hard time “choosing between 1 or 2” because it isn’t always easy to tell which is better and they are not comfortable guessing. No need to guess anymore! One of the benefits of digital eye exam is that we begin with a precise digital prescription measurement that we determined during your pre-testing on our digital autorefractor. The autorefractor determines the lens power required by your eye to accurately focus light on your retina, giving Dr. Johnson a baseline prescription in an accurate & time-saving manner in the eye exam, which reduces the number of comparisons needed to finalize the customized prescription. At iCare Family Vision we believe that an eye doctor having strong family values leads to the best service possible. Our eye doctor strives to provide an exceptional, personalized eye care each and every one of our patients. In order to provide exceptional eye care, our eye doctor uses cutting-edge technology which enhances your eye care experience. Our eye doctor's goal is to provide you and your family with the most comprehensive eye care possible. Don't look directly into the sun without proper eye protection! Use approved solar eclipse viewers. The only safe way to view a partially eclipsed sun is through special-purpose solar filters, such as "eclipse glasses" or viewers that meet international standard ISO 12312-2 for safe viewing. Sunglasses, smoked glass, unfiltered telescopes or magnifiers, and polarizing filters are unsafe. If you can't find eclipse viewers, build a pinhole projector to watch the eclipse. Visit your doctor of optometry. If you should experience discomfort or vision problems following the eclipse, visit iCare Family Vision for a comprehensive eye examination. When Buying Glasses Online - Buyer Beware! Ever thought about buying glasses online? Purchasing eyeglasses online may offer convenience to patients, but the American Optometric Association (AOA) warns that the consequences of making an uninformed purchase could cost you more time and money in the long run. The AOA stresses that eyeglasses are an investment in your health and must be custom-fitted not only to meet particular prescriptive, but also to provide the greatest level of ocular comfort which only an eye doctor can determine. 25% of children’s lenses failed impact resistance testing. Purchasing eyeglasses from a local optometrist like iCare Family Vision is the AOA’s first and foremost recommendation, but if patients are still interested in making a purchase online, the AOA strongly warn consumers to do their research before making a final decision. The fit of eyeglasses is critically important — if the fit is incorrect, not only can a patient experience discomfort, such as pinching and headaches, but can also cause additional vision problems which could affect the long term health of your eyes..
Consumers also need to consider the various lens options available, and what is best lens for their particular prescription and lifestyle. Lenses come in various materials, such as traditional plastic, as well as thinner (high-index), lighter materials. Other considerations are the different anti-reflective coatings and UV treatments available such as non-glare coatings and photochromic (transitions) lenses. Just because the eyeglasses “look right” on your face, it doesn’t mean the measurements are correct. Pupilary distance (PD) determines where to place the optical center of each lens in your frames to customize the optics to your eyes. This measurement is necessary to ensure the eyeglasses serve your vision needs properly and you can see properly through them. Patients need an optometrist like Dr. Johnson at iCare Family Vision to provide the PD and to ensure precise measurements. Measuring your PD is a service provided at no-charge with all eyeglass purchases at iCare Family Vision. The measurements needed for multi-focals and progressive lenses are more complex and can only be accurately made once the frame is selected and properly fitted to your face, so typically this measurement is simply estimated at best for eyeglasses available online. Buyer Beware! At iCare Family Vision, we stand behind our products 100%. We guarantee the accuracy of the prescription, and the fit of your eyeglasses. We always recommend products that will help you see clearly and that fit your lifestyle. We offer only the finest selection of frames and lenses available. 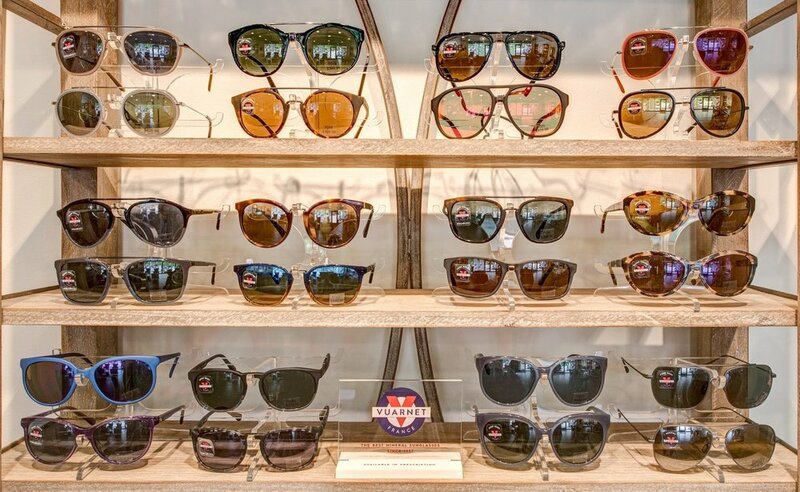 Our fashion-forward inspired optical boutique comes alive with locally-sourced furnishings and displays that provide a unique backdrop for our incredible collection of high-quality, handcrafted eyewear from around the world. Our team of American Board of Opticianry Certified (ABOC) eye care professionals will help you and your family select the perfect glasses. • The clearest, crisp vision you can get, even with a high prescription. • An optimized lens for all lifestyle needs. • An easy to adapt progressive lens. What Is Digital Lens Technology? The newest technology in eyeglass lenses are Digital High-Definition Lenses. The technology used to make these digital lenses leverages computer software which takes into account frame fitting position, prescription, vertex distance, pantoscopic tilt and eye movement patterns. Digital lenses provide you with an exact prescription, rather than rounding to the nearest setting in traditional lenses. Imagine buying a shirt off the rack vs. a shirt tailored to your exact measurements. This new technology provides the greatest peripheral vision and the highest definition of clarity. One of the reasons why the term "free-form lenses" is often used interchangeably with digital lenses is to imply that the lens is not confined to the same pre-molded parameters as standard traditional lenses are. Why are digital lenses important? Digital lenses eliminate many of the aberrations that were unavoidable with conventional lens surfacing. They are six times more accurate than traditional lens surfacing and enable patients to enjoy up to 20% wider vision channels for both intermediate and near distances. Digital lenses are available in designs specific to patients’ lifestyles: sport, hobby, computer and reading designs to name a few. Who are good candidates for digital lenses? Everyone can benefit from the accuracy of a digital lens prescription, although the most drastic difference can be seen by those with high prescriptions and large amounts of astigmatism. Progressive wearers will especially benefit from digital lenses as they provide a wider field of vision and eliminate the “follow-the-nose” technique. Remember when you first saw an HD TV? It took a while to get used to because you were so accustomed to watching in low definition—but now you can’t imagine going back! The mind does an even better job of compensating for everyday eyesight. You may need a few days to adjust to the accuracy of digital lenses after compensating for a near-accurate prescription for so long. Most people experience an eye screening as their first introduction to eye care, whether during school or at the DMV. An eye screening is basically a test to determine if you can see 20/20. While an eye screening is a great way to determine a need for a prescription, it is not in any way determining the health of your eyes. Even if you can pass an eye screening and see 20/20, you should still have an annual eye exam to check the health of your eyes. At iCare Family Vision, we do more than just determine your glasses and contacts prescription during an eye exam. By providing early detection of health issues, your eye doctor is often the first line of defense against chronic diseases such as high blood pressure and diabetes. Many eye and vision problems have no obvious signs or symptoms, and you may be completely unaware of them. Only a small percentage of your time during an eye exam is actually spent determining your prescription. The majority of the testing time in an eye exam is devoted to tests such as visual field, tonometry, retinal evaluation, slit lamp, etc. Eye diseases: glaucoma, diabetic retinopathy, etc. Treatment plans following your eye exam can include a prescription for glasses or contact lenses to correct refractive errors, vision therapy, medical treatment for eye disease and in some cases your eye doctor may also recommend that you take vitamins or supplements to maintain good eye health or to help alleviate specific problems like dry eyes. In the end, regular eye exams are important for seeing more clearly, early detection of health issues, and preserving your vision for life. Schedule your annual eye exam today at iCare Family Vision. St. Louis Park, MN — March 20, 2017 — iCare Family Vision, a full scope optometric practice, will open this month on 5103 Minnetonka Blvd. and will be independently owned and operated by Dr. Elizabeth Johnson. Dr. Johnson has been working as an optometrist in the area for six years in the employ of Calhoun Vision Center and The Spectacle Shoppe, and has a reputation in the community for her gentle style and excellent clinical skills. She obtained her Doctorate of Optometry from Indiana School of Optometry, is a member of the American Optometric Association, the College of Optometrists in Vision Development and the Minnesota Optometric Association. Dr. Johnson’s plans for iCare Family Vision include use of the latest technology, personalized care for each patient, and a unique assortment of eyewear in a comfortable, well-appointed optical gallery for discriminating buyers. She has partnered with several local eyewear vendors in addition to offering well-known brands of eyewear, and is committed to helping all of her patients see more clearly. Dr. Johnson will begin seeing patients at iCare Family Vision on March 20, 2017. iCare Family Vision is an in network provider for patients with VSP, and also most major medical plans.